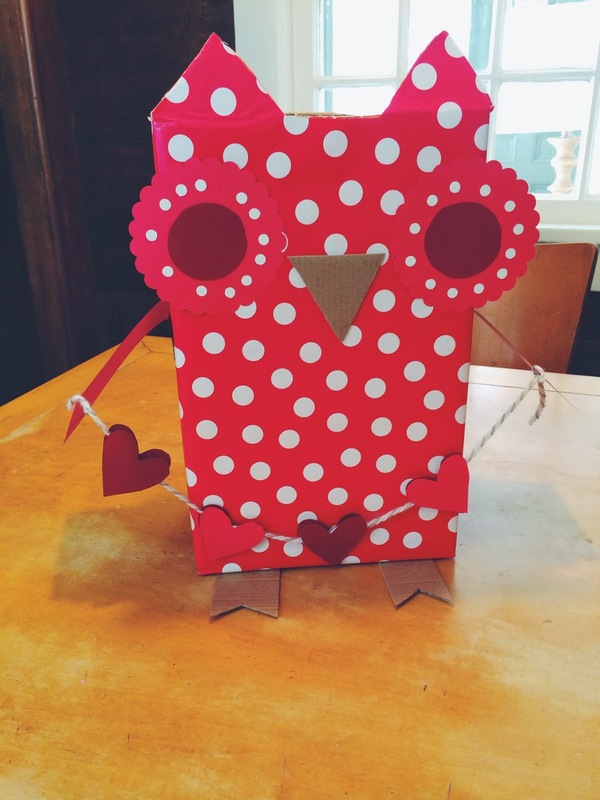 Edie and I spent a snow day making this Owl Valentine's Day box. 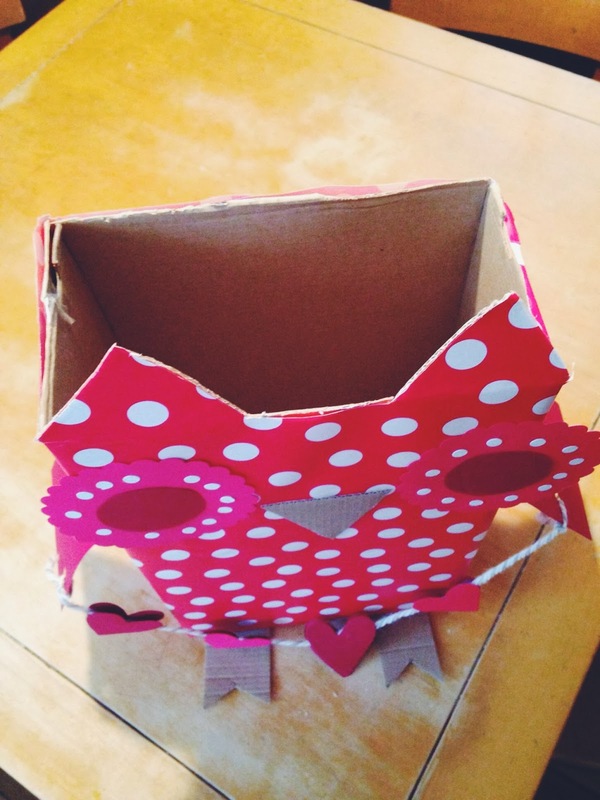 We used an attached lidded shoe box for the body, using the cardboard scraps for it's feet and beak. We cut ears out of the attached lid flap and wrapped the box in wrapping paper, then we used construction paper for the eyes and wings. I can't get over how adorable it turned out (especially the little heart banner).